I was recently a partial witness to an incident which provides another powerful clue to Baba’s identity. One of the most famous shrines in India is the hilltop temple to Lord Venkateshwara (a form of Vishnu), in Tirupathi, Tamil Nadu. Venkateshwara is considered by many Hindus to be the Supreme Lord, and the idol in this temple is known all over India for the powerful blessings it bestows. As with many of the sub-sects in Hinduism, there is an understandable quality of exclusivity in the devotees of that shrine, especially among the priests who perform the worship; for generations their families have been single-mindedly devoted to Venkateshwara alone. One day in late November, 1998, the priests were performing a special pada puja (foot worship) ceremony to the Venkateshwara idol, when suddenly the idol’s feet were transformed before their eyes into the feet of a living man. 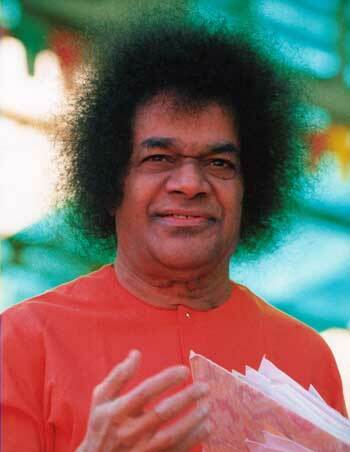 Looking up, they beheld, in place of the Venkateshwara idol, the living form of Sathya Sai Baba. “If you want full darshan,” He told them, “come to Whitefield next week!” Baba then disappeared, leaving Venkateshwara in His place. Lord Venkateshwara is another form of Lord Vishnu who is also very popular as a Hindu deity. He is also known as Balaji or Bithala. The benefits acquired by a piligrimage to Venkatachala are mentioned in the Rig Veda and Asthadasa Puranas. 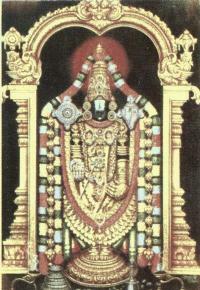 In these epics, Sri Venkateswara is described as the great bestower of boons. The Lord Venkateshwara's temple attracts 10-15 million pilgrims every year.